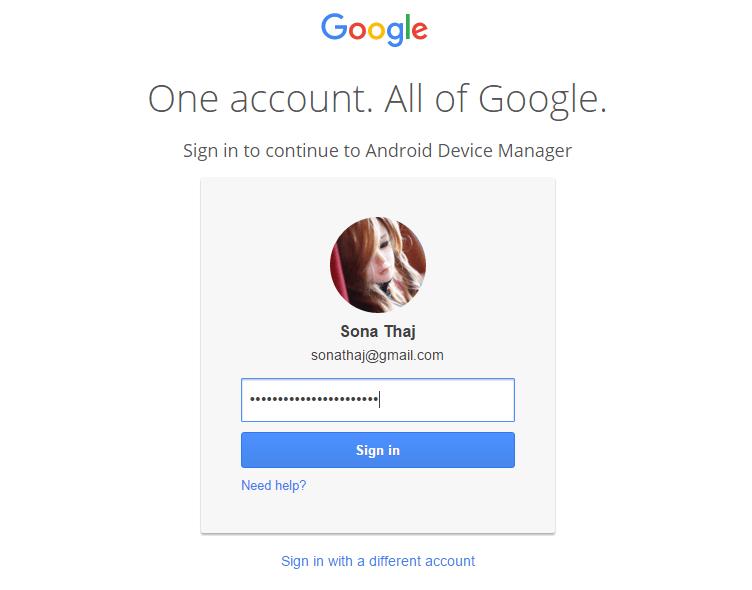 Steps To Manage Your Lost / Missing Android Phone with help of Google account: – As the devices are getting smarter and thinner, the chances of them getting stolen or lost are getting higher and higher. Losing an android phone is quite common these days. In most of the cases, the phone being in silent mode at the time of loss creates a lot of trouble. Another scenario is when you lose your password protected phone such that the one who finds your phone has no way of knowing that you are the owner. A factory reset often ends up as the only way to unlock the phone, which results in data loss including owner information. Read on, to learn about the top tricks to recover your phone if you lose it when it is in silent mode or to provide enough information to the one who finds it such that it can eventually be returned to you. First of all, open your desktop browser and go to Google Play. Your next task is to locate the gear icon which will be at the top right corner of the web page. On clicking it, you will have two options namely, Settings and Android Device Manager. Click on Android Device Manager. Enter the login credentials of the account that you used to register your phone. Now you will be directed to another web page where all your registered devices, under the given account, will be visible. Click on the Ring icon. This will result in the popping up of an alert box asking for your confirmation. If you click on Ring button, your phone will ring for 5 minutes. You can press the power button to stop the ringing. You can see a notification that says Ring requested as shown in the screenshot. Your phone will ring shortly, which can be used to locate it. You can remotely set your phone’s current lock to a password lock by clicking on the Lock icon. In the new pop up, you can set a new password, a customized message and a phone number to reach you. So if someone finds your lost phone, they can return it to you using the owner information displayed in the lock screen. If you are so sure that your phone is lost and cannot be retrived, you can save your data from being exposed atleast. For that, click on Erase icon to wipe out all the data from your phone. That’s it. Now you can ring your phone, erase it’s data, change it’s password, set a custom message etc all by sitting infront of your PC. Incase if you find difficulties in executing any of the above steps, try updating Google Play in your phone and clearing its cache. Hope you found the article useful.